In addition we were given 3 neutral colours as well: Basic Black, Very Vanilla and Whisper White. For my project I decided to use a stamp set from the Occasions Catalogue called Petal Palette. I have had this stamp set a while but never got around to using it as there are so many lovely stamp sets to choose from this catalogue. I chose to use the following colours: Berry Burst, Wild Wasabi, Powder Pink, Basic Black and Whisper White to make a quick and easy card. I made this card with a Basic Black base, a mat layer of Berry Burst. I die cut 2 sets of leaves using Wild Wasabi. The stamped in Archival Basic Black the flowers and the sentiment onto Whisper White. The stamped flowers and sentiment were then cut out using the matching dies. The flowers were then coloured in using our lovely Write Markers. These are lovely pens to work with as they have a brush at one end and a normal pen nib the other. I hope you have enjoyed my Quick and Simple card I have shared with you today. We do appreciate reading your comments on our posts. Please enjoy the rest of your ‘hop’ around the globe today by clicking the arrow to visit Cheryl Hamilton and see the wonderful creations she has to share with you. 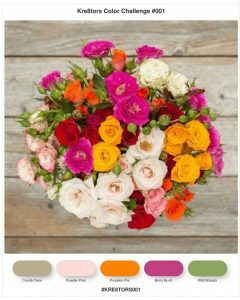 Thanks for sharing this beautiful card, Petal Palette is always a good choice! Thank you and am so looking forward to using Petal Palette over the coming weeks. What a pretty card using the colour combo! Well done! Thank you Hiske. I am known to like pink so of course I had to use it. Beautiful use of this stamp set, dies and the colour inspiration. Great card. Thank you Penny. I am going to enjoy playing with this suite. Such a beautiful card using one of my all time favorite sets! I love how you colored in the roses. So glad to have you be part of our wonderful group of talented demonstrators participating in this blog hop! Thank you Melissa, I am glad to be part of this blog. I do love colouring in and Stampin’ Up! has so many options to do it. Thank you Laura. Hope to meet up with you soon. Thank you Cheryl. 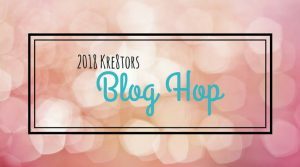 Just answering my comments before going round on the blog hop. Looking forward to seeing all the other’s pages. Thank you Deb, I enjoyed making it. Love your project, great colors! Thank you I love these colours. 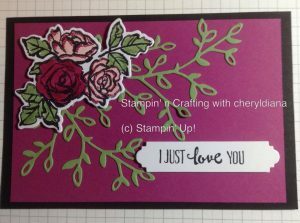 Can’t wait to see the new Stampin’ Up! colours in the flesh. Great card Cheryl, love that stamp set ! I know Sandra as I have a few of your samples. Now to work out a product class using it. What a lovely card – this is one of my favourites sets! Thank you Jackie. I have so many ideas for this set. Thanks Jacqui, I do love colouring in especially with reinkers and marker pens. Beautifully done, Cheryl! Love this set! I’ve waited to use this stamp set and have loads of plans for 3D items. Glad it is not on the retirement list. Gorgeous card with my favorite, Petal Palette Stamp Set! Thank you, I am going to love using it over the next few weeks. Love the DSP that goes with it. Pretty card, love the back base layer. I love the Basic Black as it makes so many of the colours stand out. Can’t wait to use the new colours.